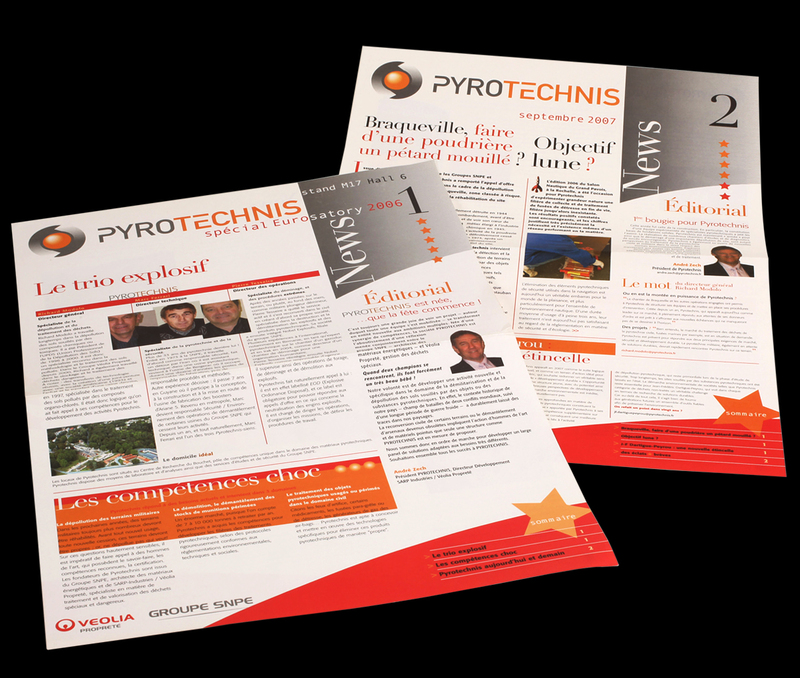 Conception, creation, copy-writing in French, layout and illustrations for Pyrotechnis newsletter. Creative director Fuka, French copy-writing Camille Peulet. Pyrotechnis is a division of Veolia Propreté.